Lincoln Woods Fun Ride 2015!! 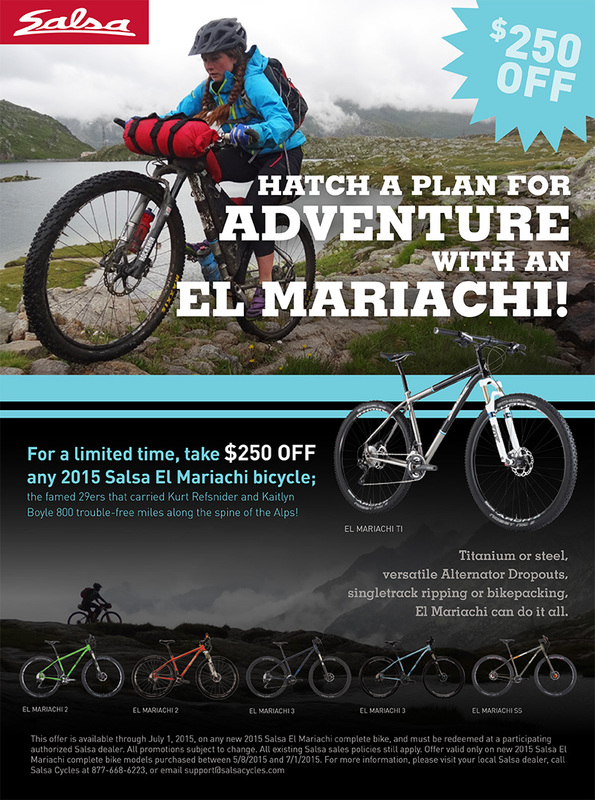 Endura Clothing Sale and Closeout Bikes! Come out to this year's RI NEMBA Fun Ride at Lincoln Woods! 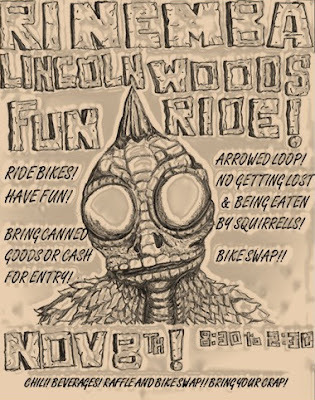 Join us for the annual RI NEMBA Lincoln Woods Fun Ride on November 8th! This ride is a fund and food raiser for the RI Community Food Bank. Entry is free, but please bring non perishable food items and some cash for the raffle! There will be free chili, hot dogs and beverages afterwards. If you have a favorite you might want to BYOB. Helmets are required to ride, but blaze orange is not needed! Show up, follow the arrows, eat some chili and have a great time while helping others. There will be some great raffle items from Transition Bikes, Serfas, Kali, Trek, Surly, Profile Design, Bellwether Clothing, Endura Clothing, Blackstone Bicycles, Providence Bicycle, Legend Bicycle, NBX Bikes and more! From Rte 146 take the Breakneck Hill/Rte 123 exit. Head East, take a right into Lincoln Woods State Park onto Manchester Printworks Road. The entrance is just after the Jehovah's Witness Hall. Go under the covered bridge and take your immediate right. Parking is up on the right. Please do not park on the grass! From now until the end of November ALL in stock Endura gear is 30% off! This is a killer deal, come grab some of the best technical riding apparel on the planet and keep riding! 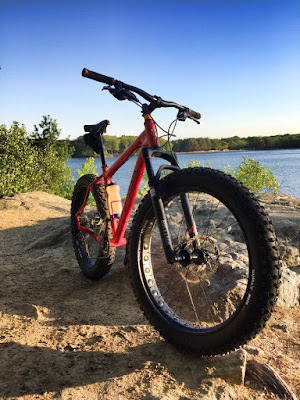 2015 Transition Patrol 3 Large, black. Was $3500, now $2900!! 2015 KHS Six Fifty 5500 Medium and Large. Were $2750, now $2200! 2015 KHS Flite 150 Road bikes! 56cm, 58cm. Were $580, now $475!! 2015 KHS ULTRASPORT 17 and 19 inch bikes available. Were $440, now $380!! 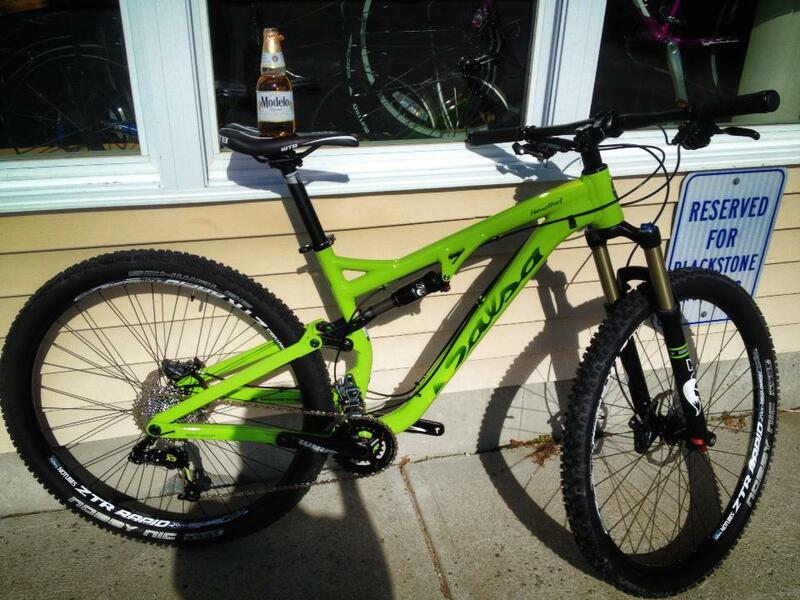 2015 KHS Six Fifty 200 Med and Large available. Were $550, now $475!! Take 10 - 20% off ALL in stock Kali gear - helmets, gloves and armor! Wow, it's been a little while! Well, it's been some time since I've posted anything. Rest assured that the shop is still here. In case you didn't figure it out already, or hadn't heard via the RI cycling knitting circle, the shop is now a one man show (or flying circus, depending on the timing of your visit). Mike has been spinning wrenches, and keeping Barak company, over at Providence Bicycle since last October. I've been holding down the fort and keeping the lights on over here. He is still doing a killer job helping out with the Wednesday night ride and the group has grown a lot over the last two seasons. Things this late spring have been busy. Super busy, really, given the glacial conditions we all lived through followed by a swift transition into some gorgeous weather. As a result I've been remiss in getting around to updating anything but Facebook. The weekly Lincoln Woods ride is still on Wednesday nights, at 6:00! We meet at the covered bridge and roll out by 6:10 at the latest. The group has grown to roughly 20 or so riders each week with 2-3 groups for varying skill levels. 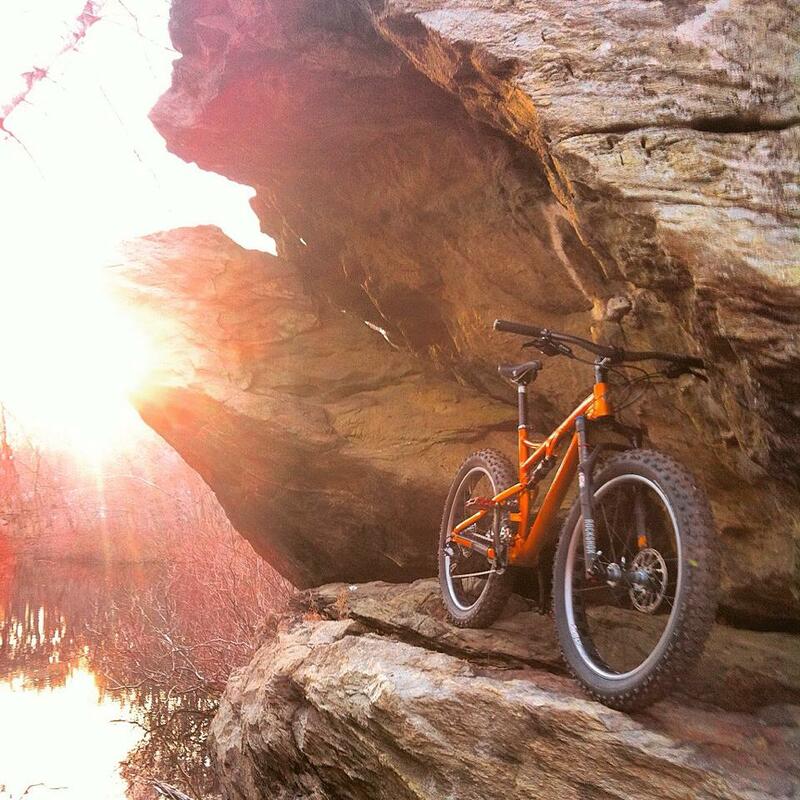 If you haven't ridden Lincoln Woods in a while you should come check it out. The post ride beers and conversation are probably as good as the riding! The Gnar Weasels are now coming to Diamond Hill! Yeah, you likely knew that already but it's worth mentioning that the race has been moved to the very local DH trails. 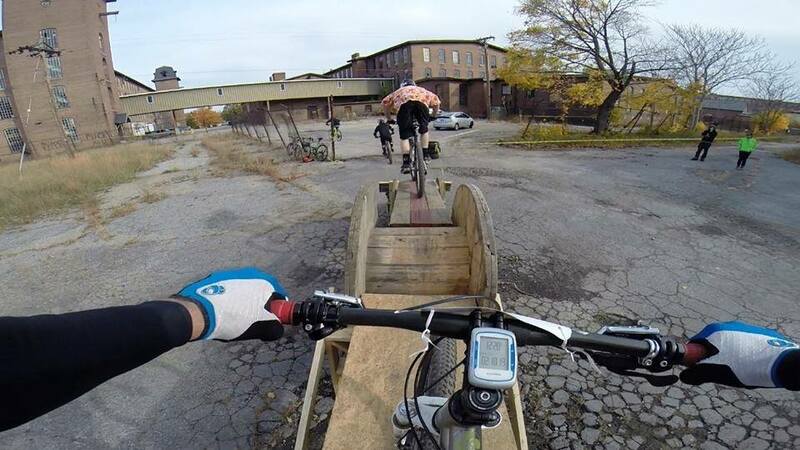 This is guaranteed to be a tough old school mtb race. Bring your climbing legs, and a your tech skills, to town on July 5th! Bike reg link is here. 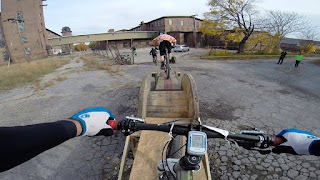 Speaking of Diamond Hill, did you know there is a Summer MTB bike camp? Well, there is, and it's sure to be a good time. Info can be found here, and here. Check it out! 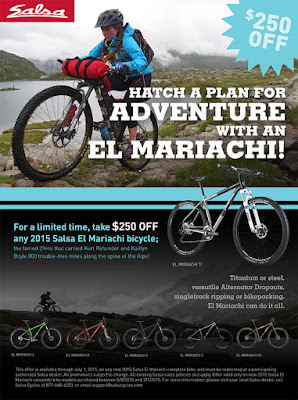 For the rest of the month of June pick up some Endura and Kali gear at 20% off!!! Anything in stock is game, just mention the blog post or that you saw it on Facebook. 2014 SALSA Mukluk 2, Large: Was $3,000 - now $2200! 2014 SALSA Horsethief 2 Demo, Medium: Was $3300, now $2,000! Oh, and the shop has one of these in large for you to demo: I'm calling it Uncle Bucksaw in honor of one of the best movies ever made by one of the best comic actors, ever. Large and in charge if ever there was such a thing.